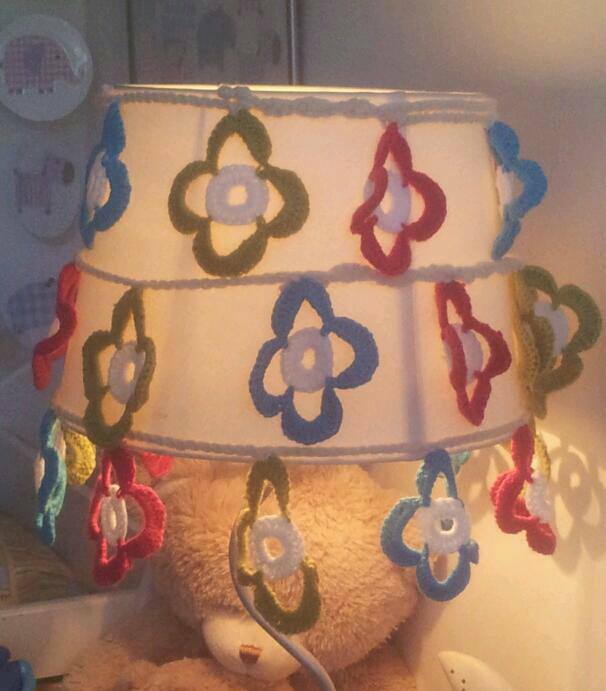 My second post, after a mild nudge, to tie in with Rachel’s Yarning Along series (see what I did there?) Rachel’s right, it is interesting to see what other people are reading! Well, all you UK readers will know this chap quite well. I wasn’t aware he’d written anything at all along these lines until a friend lent me this book and, I have to say, he makes reading history an absolutely captivating adventure. If there’s any irony to be found in a situation, Boris is your man, and his style is drily contemporary. I’ve watched him in a couple of news reports and meetings on youtube and, while I have to say I wouldn’t like to work with the guy, he’d certainly be a whole lot of fun at a dinner party. And the knitting? 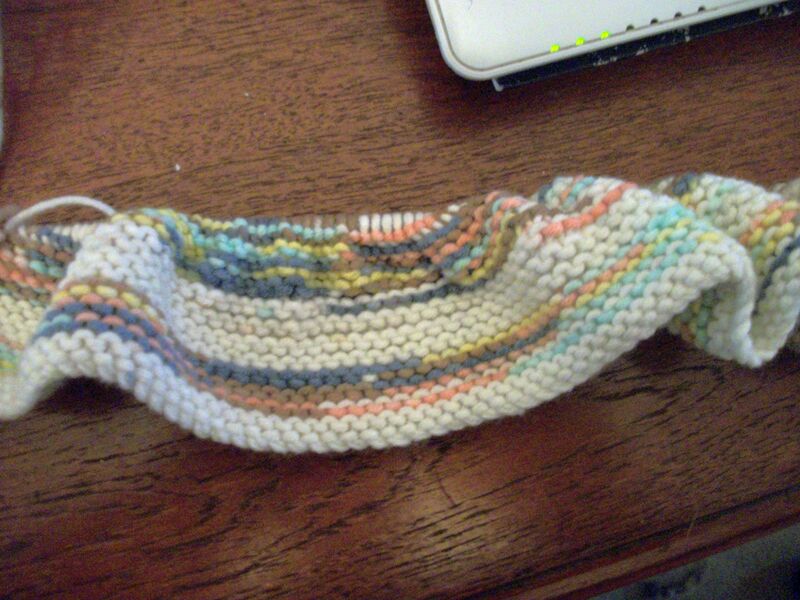 Yes, it is exactly what you thought it was – a meaningless rectangle of garter stitch with randomly chosen colours. 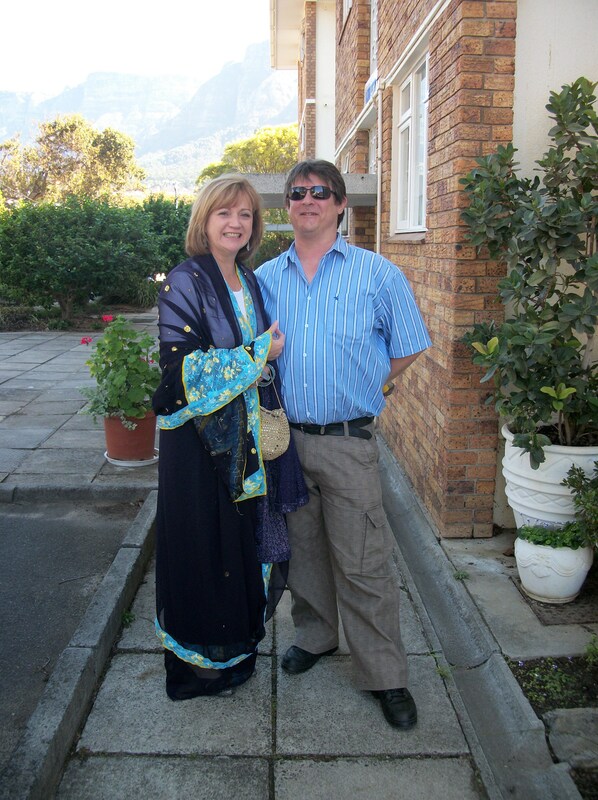 But I’ve heard that the Mowbray Maternity Hospital is always glad to receive baby blankets – some of the mothers arrive and leave with practically nothing – so it might be turned into something like that (despite the odd mix). A baby won’t care what colours it’s wrapped in, anyway, and the nights are truly cold here now. This entry was posted in Craft, Knitting and tagged baby blanket, Boris Johnson, garter stitch on June 21, 2017 by Nice Piece of Work. There really is something enormously special about having something made just for you, isn’t there? This was made for me by Kathryn, and got flown over from the States to South Africa as part of my big surprise parcel. Back in April, she cunningly initiated a discussion about the three colours I would choose were I to knit up the Drachenfels pattern, which she had her eye on making. I chose sagebrush, claret heather and tumeric, not realising she was purchasing them for me. 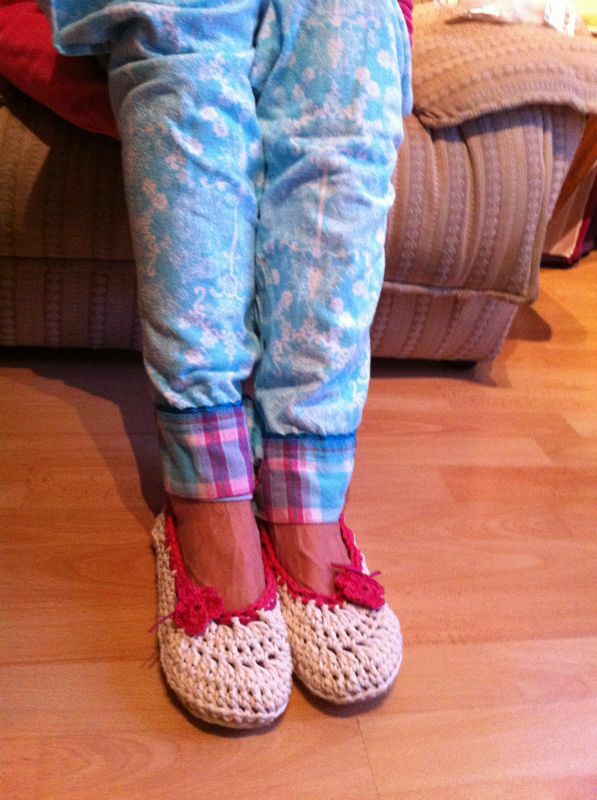 And that’s how come I now have this gorgeous item in my wardrobe…. This entry was posted in Craft, Knitting and tagged shawl on October 25, 2016 by Nice Piece of Work. 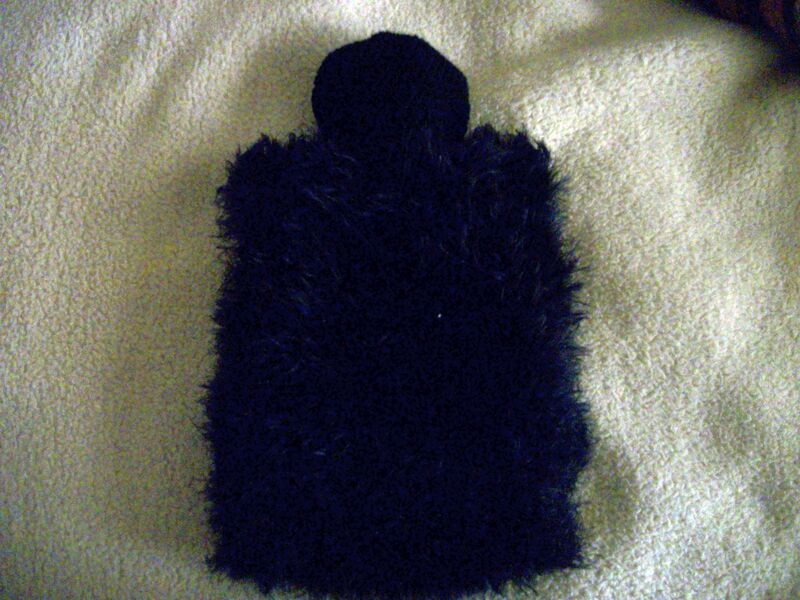 I was asked to make a hot water bottle cover in black furry yarn, so you have to admit that ‘hot fuzz’ is appropriate here. 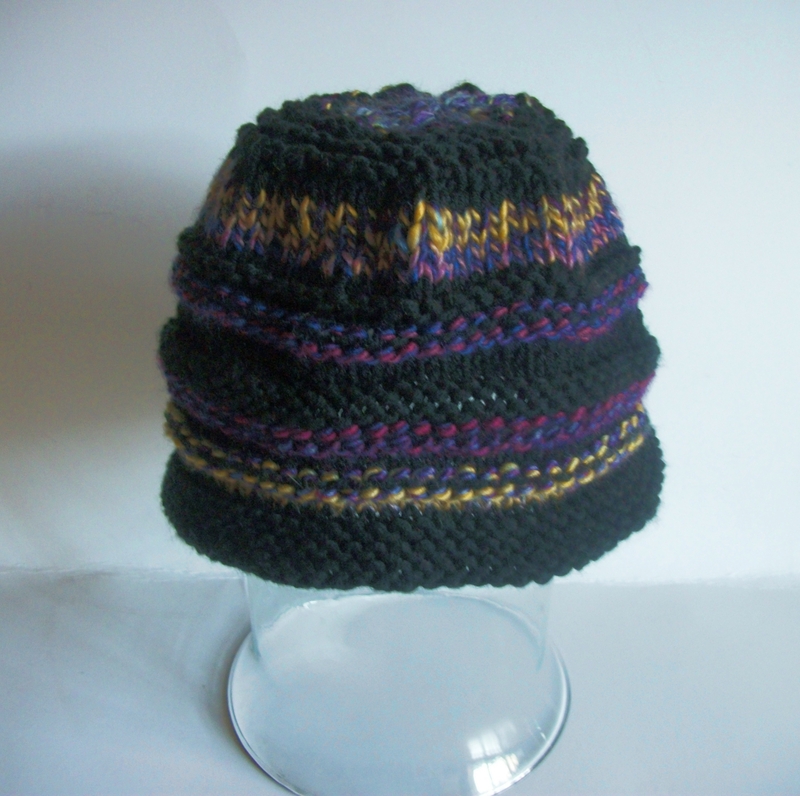 It doesn’t photograph well, but the top is a separate little crocheted dome with elastic round the edge which fits nicely over the sticky-out spout bit. I’m not sure how much heat it’s going to let through but it does look lovely. And feels nice – like a big furry and very squashed cat. It works up like a dream. And chop-chop. You know how I love chop-chop. This entry was posted in Craft, Crochet, Knitting and tagged beanie, Elle Pure Gold, Print, Saprotex on August 13, 2015 by Nice Piece of Work. This post is going to be a bit of a mish-mash, I can feel it. On Saturday Anne and I went to the Reformed Church in Gardens, where the Christmas market organisers set up their approval day. 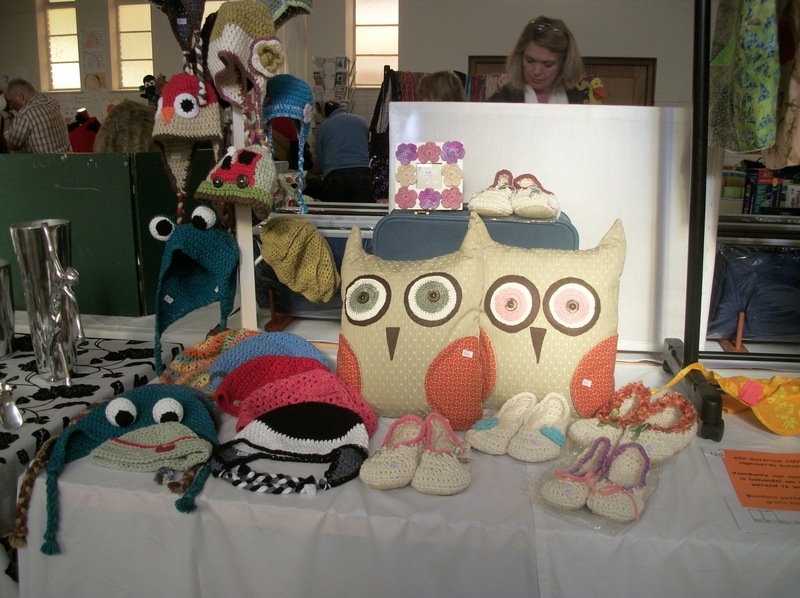 The xmas market runs for 3 weeks from end November at the Sea Point town hall, and this is their 11th very successful year. So please keep your fingers crossed that they liked our things and think they will be good sellers. It’s a relatively informal set-up, we just used half a table and our hat stand, and then you fill out your forms and leave them on the table. You pack up and leave when six judges have reviewed your range and then you wait until the end of June to hear whether you’ve been successful or not. 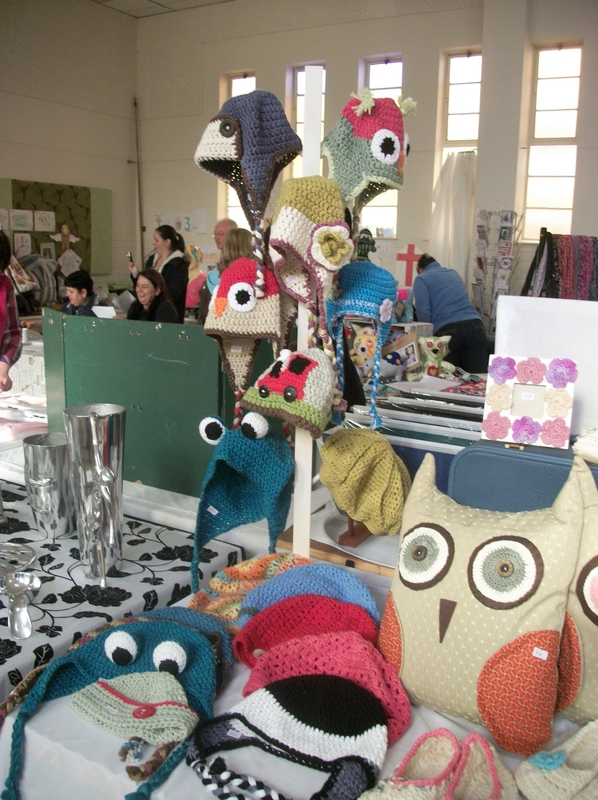 There were lots of cushions from other people – but none that were owls – and no other hand-crocheted items (that we saw, at least). The organisers were extremely efficient and friendly, and had laid on tea and coffee and scones that you could just help yourself to. That always helps, right?! My guess is that this is in her baby daughter’s bedroom (the teddy bear and pink wall decor is a bit of a give-away), and I think it looks stunning. It’s always good when something you’ve made for someone else comes back for repairs – it means the recipient really used it! 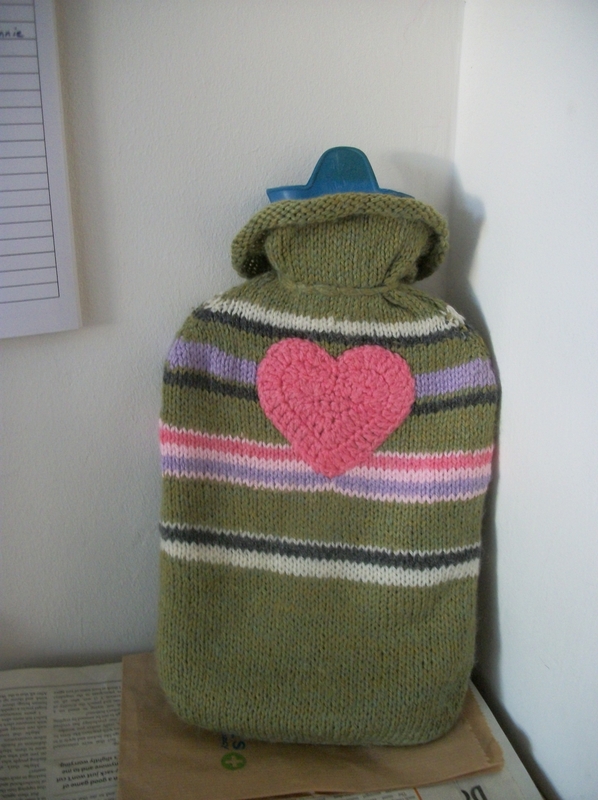 I knitted this hw bottle cover for my mother some years ago, but the bottle itself has leaked and she couldn’t figure out how to get the cover off. I think I did a bit of fancy hand-stitching round the neck so will just rip it out, wash the cover, and find a new hottie for it to live on. The heart was crocheted, I like it more now than I did when I gave it to the mater. Nearly five years ago I was lucky enough to meet Rob. The day after our first date, I was so taken with him (!) that I started knitting him a scarf. He looked like the kind of man who would wear a handmade scarf (just the kind of man I like!) – and he also looked like a man who had never had a scarf handmade for him in his life. 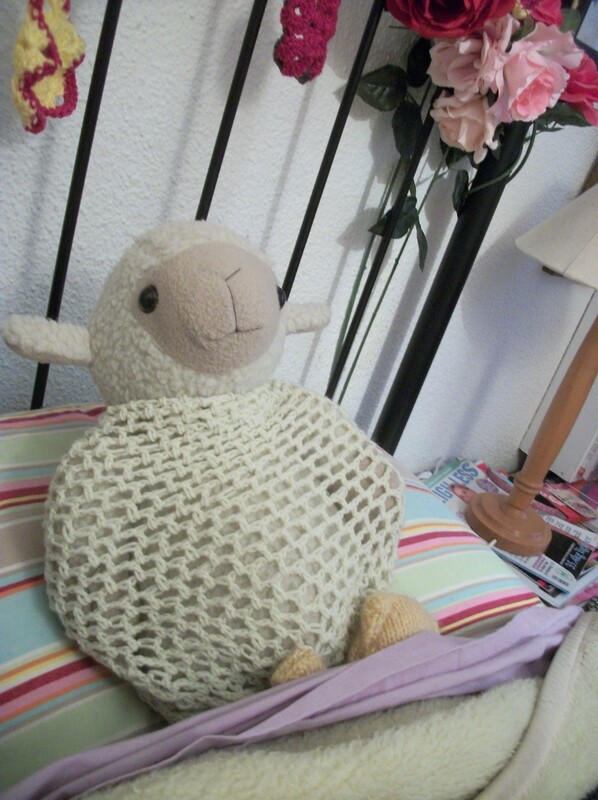 As you can see, the old one has become a bit shabby-looking so I felt he deserved a new one. He has, after all, been obedient and useful over the years. For the most part. I’m kidding. Rob is the best man ever: he encourages me in everything I do, helps where he can, looks after all my IT needs, cooks, picks me up when I don’t have a car, picks me up when I do have a car, won’t let me drive alone at night, takes me out for sushi, looks after my daughter and her friends when they are partying in Camps Bay, has a great (and occasionally black enough) sense of humour (like mine), is an amazingly patient and caring father to his own sons, treats his parents like gold, underestimates his own talents and abilities, and is very generous and loving and considerate in general. I’ve been extremely lucky. And no, sorry, he doesn’t have a brother. He’s OOAK. 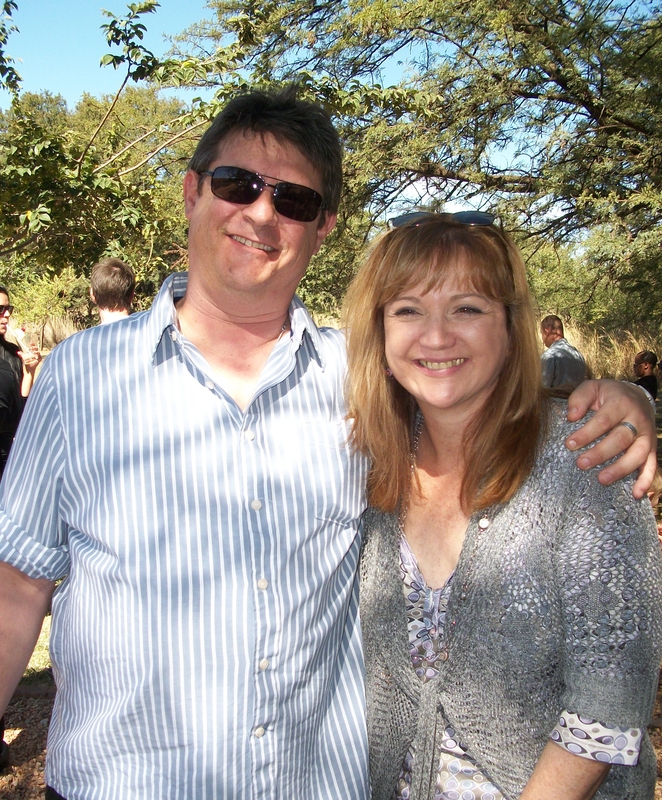 Both these pics were taken at other people’s weddings, the first one was on the way to Megan (Anne’s daughter) and Jeremy’s wedding two years ago, and the second one is at Katie (my stepsister) and Peter’s wedding in Johannesburg last year. So, yes, Rob deserves a new scarf. We went to Roger at Orion to choose the yarn and, after much debate (because I’m allergic to yellow! 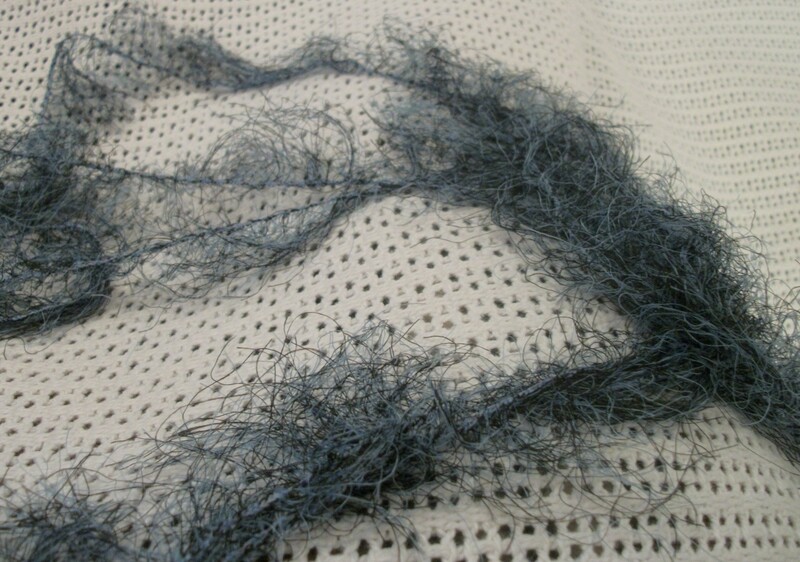 ), he picked the dark navy in the Pure Gold DK, and he’s asked for three narrow rows of slate grey on either end. 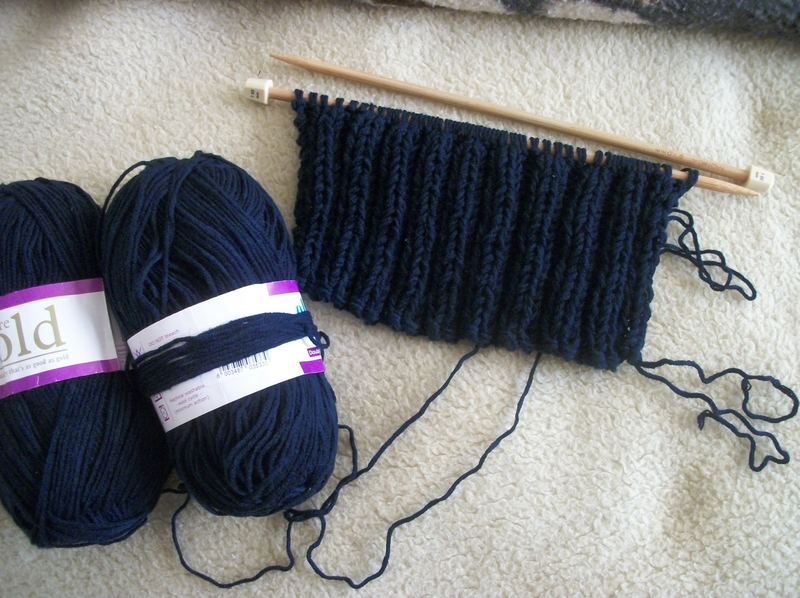 I’m knitting it double for a nice chunky look, but he wanted loose and soft as well, so I’m using 7mm needles. It’s nice to knit for someone you love, isn’t it? This entry was posted in Craft, Crochet, Jam Tarts, Knitting and tagged bunting, craft, crochet, gift, house slippers, knitting, scarf, wool on June 10, 2013 by Nice Piece of Work. 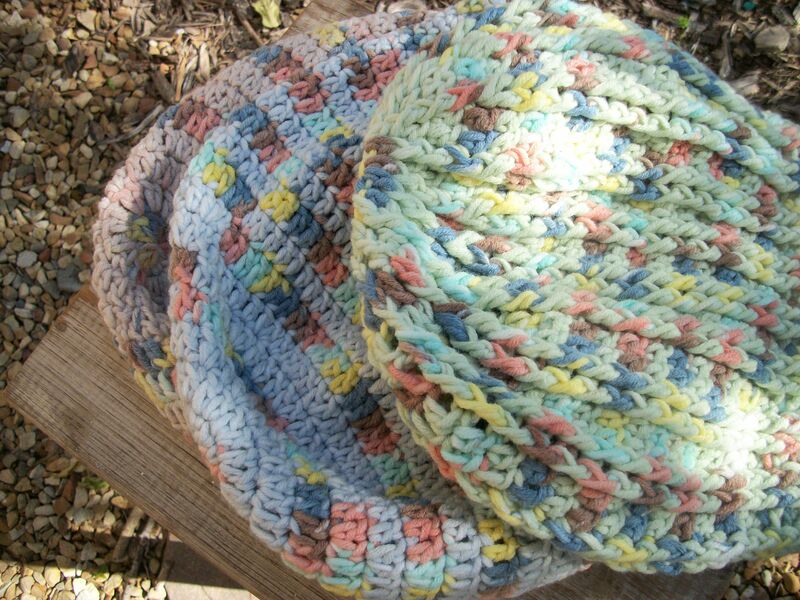 To compensate for the hell of knitting with the wet hairy seaweed, I finished a hat in a chunky yarn last night. The (free) pattern is Dragon Ribs from Crystal Palace (easy hat), and I have a feeling I’ll be using it again and again. I used Elle Pure Gold in chunky (black), a bit of something else colourful and chunky-ish that has lost its label, and 5.5mm needles. It might still get a button or a tassel or some other type of decoration (two words, both the same, hyphenated, begins with p). ** Hope you didn’t think this was something exotic you’d regularly find on the menu in a grill house in South Africa? Warthog ribs are common, yes, but dragon, not so much. PS. I’m really trying to take better photos, I promise. 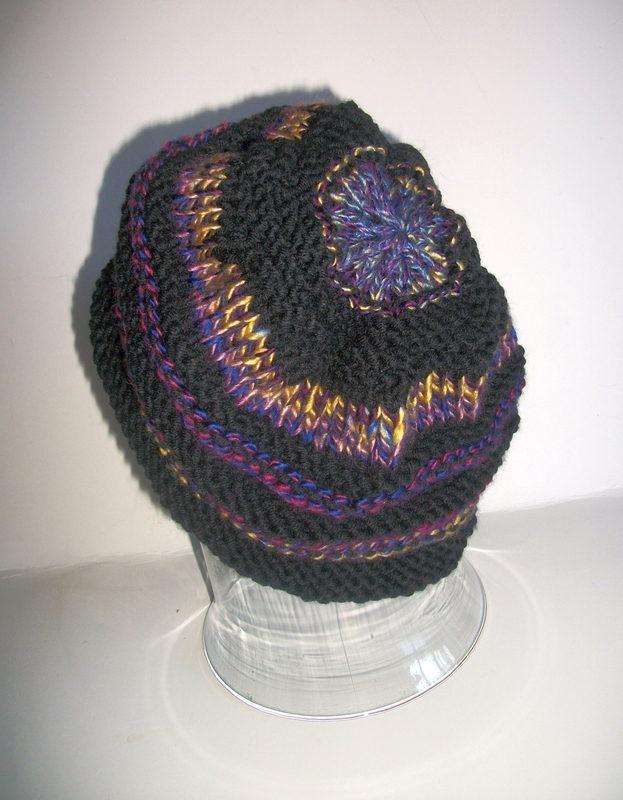 This entry was posted in hat, Knitting and tagged chunky, Dragon Ribs, hat, knitting, yarn on June 3, 2013 by Nice Piece of Work. 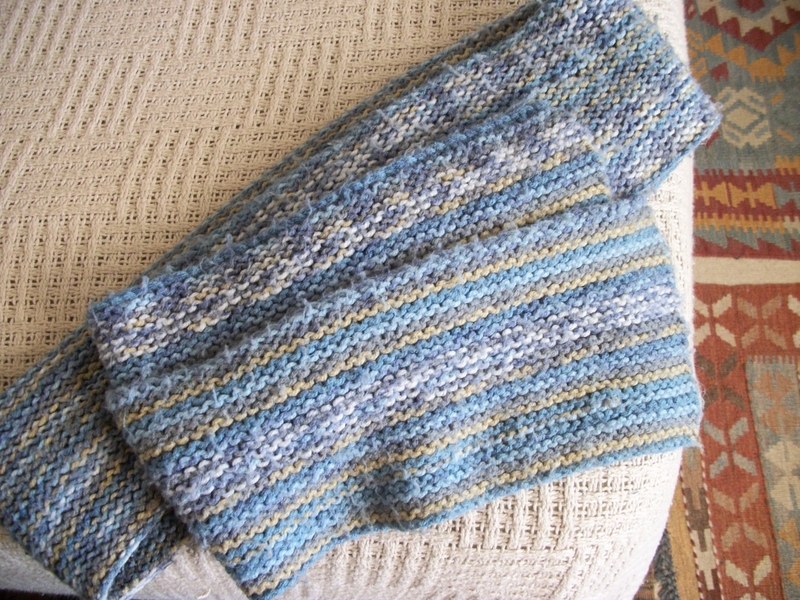 Fun yarns are supposed to add tons of extra joy to knitting. 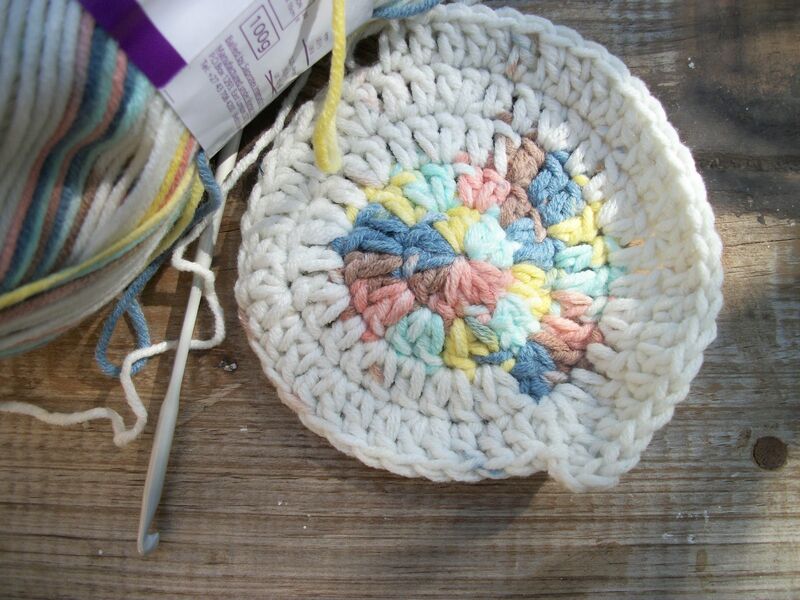 It’s not that I don’t think they do – the finished product usually looks amazing – but it’s working with the damn stuff that can make you want to fling down your needles and grab the peanut butter. 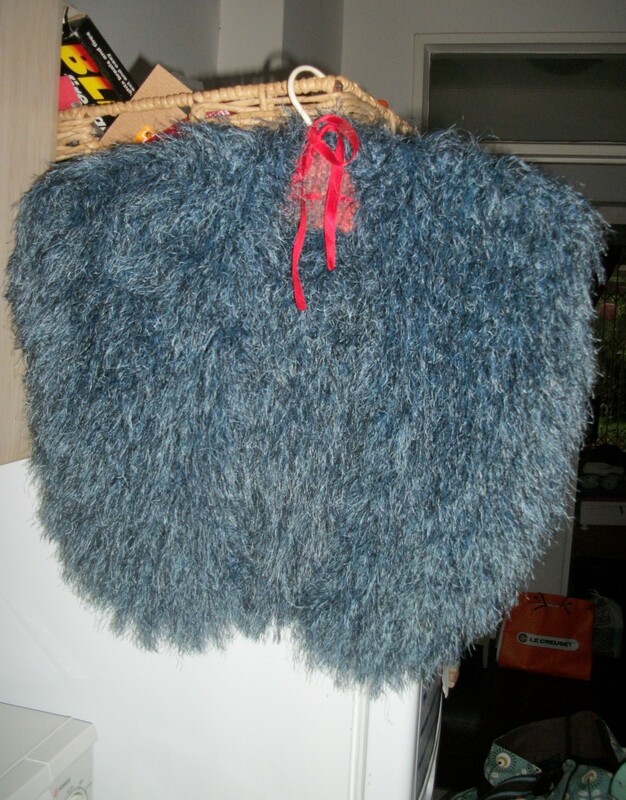 I fell in love with a furry little shawl on display in WoolWorld last week, and the assistant assured me she’d knitted it herself “chop-chop” with just 3 balls of Elle Sensual and a fat pair of needles. 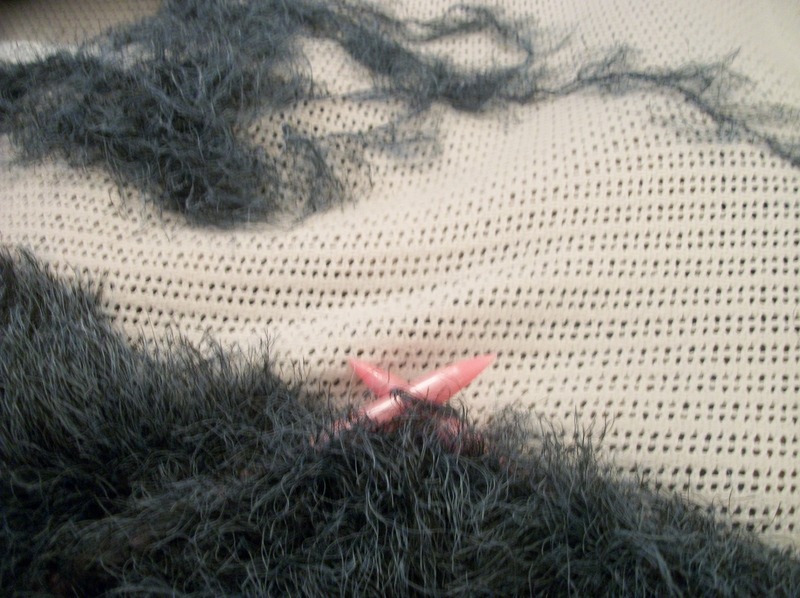 The shawl should have had a warning pinned to it: Extreme knitting! Do not attempt to make this at home! I’ve finished the $%^& thing now, much to my relief, but battled to get a decent photo this morning. This will have to do. And just in case you have some suggestions as to what it may resemble and feel tempted to share them with me? – please don’t. All I can hope is that it will look better on. And FYI – Elle Sensual has been discontinued. Gosh, I wonder why!!! 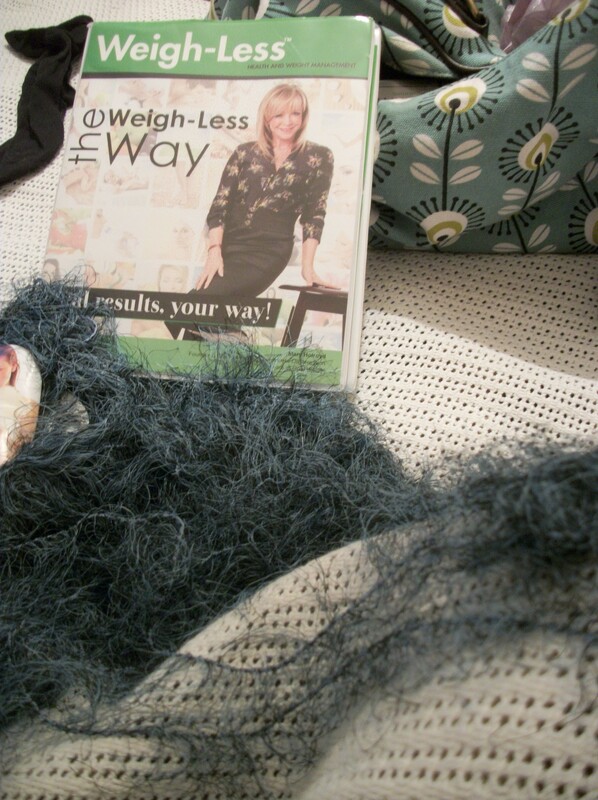 This entry was posted in Craft, Knitting and tagged diy, knitting, shawl, Weigh-Less on June 2, 2013 by Nice Piece of Work.